Capture moving subjects in sharper detail with the world's quickest autofocus* - just 0.06 seconds. A superior alternative to bulky DSLRs, thanks to a 179-point focal plane phase-detection AF sensor. So, you need never miss a photo opportunity again, even with a fast-moving subject. 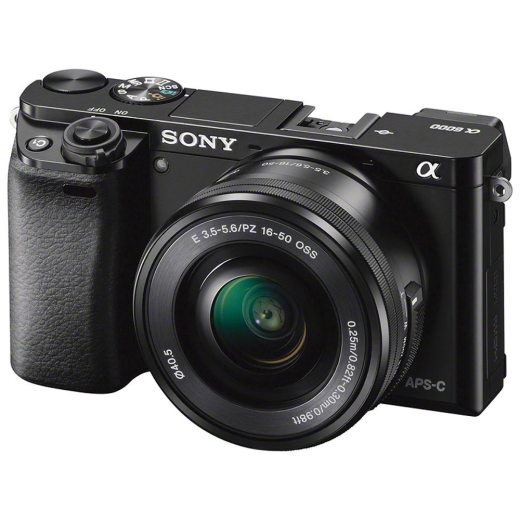 The a6000 also delivers superb image quality, courtesy of its large Exmor APS-C image sensor with around 24.3 effective megapixels and a powerful BIONZ X image processing engine. Operation is swift and highly intuitive thanks to an OLED Tru-Finder and two operation dials, while a tiltable LCD screen makes shooting over the top of crowds - or getting low-down shots of children or nature - effortless. And when it comes to sharing your pictures on Facebook, Twitter or by email via your mobile devices, it's simplicity itself with One touch NFC and Wi-Fi.